This entry was posted in Colour, Design, Home, Style and tagged beautiful fabrics, change, color, colour, DECOR, Design, diy, fabric, furniture, gorgeous fabrics, HOME, sewing skills, Spring, style, Summer by Modmissy. Bookmark the permalink. Wow, looks like such an inviting place! 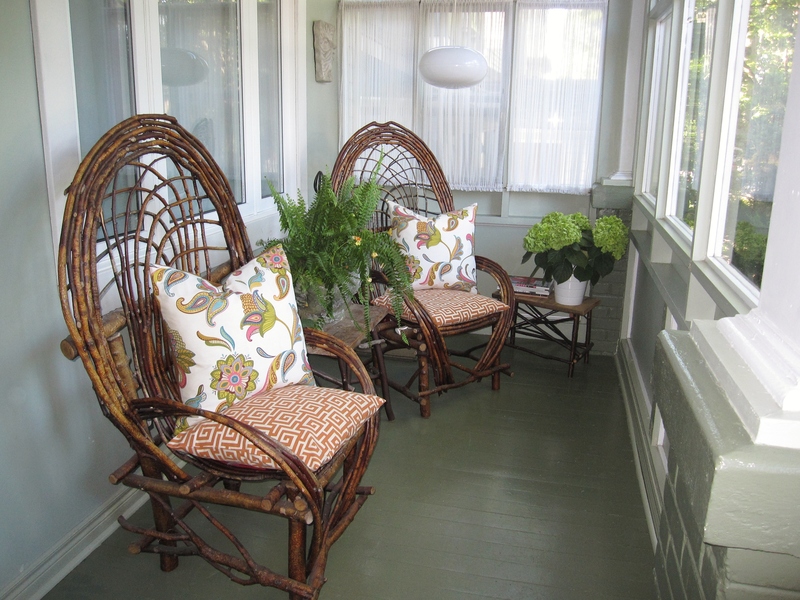 I definitely have porch envy, since I live in a bungalow with no front porch. And did you say you MADE those twig chairs??? That’s impressive. Tired to make a twig trellis once – fell to pieces within a month! Yes, hubby and I made all the twig furniture about 20 years ago so they have stood the test of time. We love this space and use it alot. Thanks. Great fabric choice! 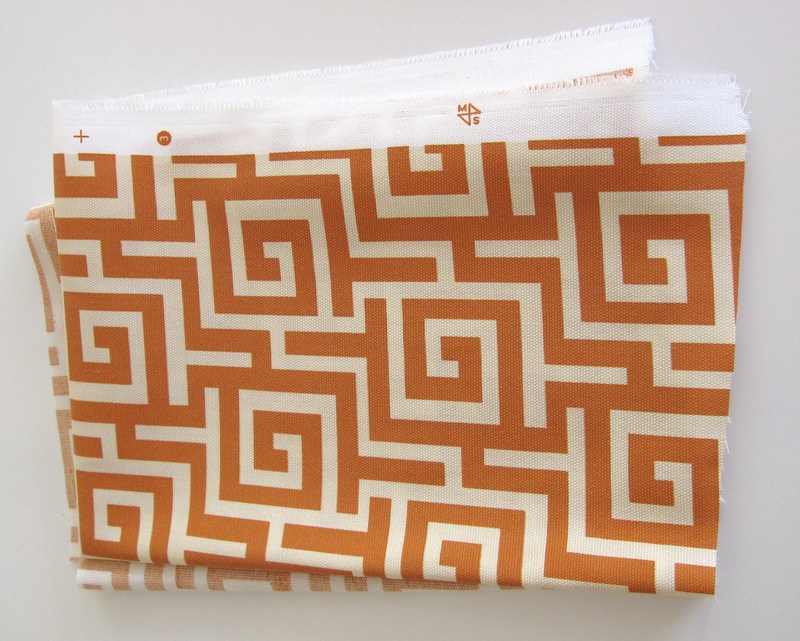 Orange is such a playful color and that design suits the color well.